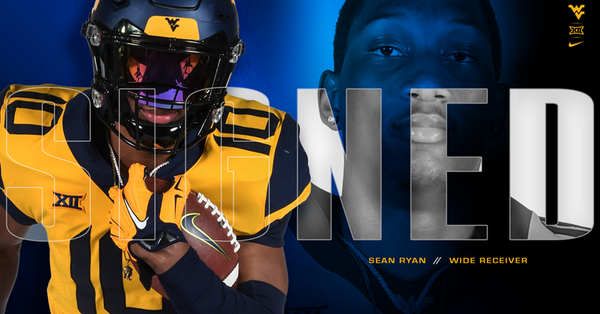 Sean Ryan, the former Temple wide receiver, announced his transfer to West Virginia yesterday and then sat down with Mountaineer Sports to discuss his reasons for the transfer and why he’s excited about becoming a Mountaineer. Sean Ryan, the former Temple wide receiver, announced his transfer to West Virginia yesterday and then sat down with Mountaineer Sports to discuss his reasons for the transfer and why he’s excited about becoming a Mountaineer. Temple coaches gushed over Ryan during his time with the Owls, stating that he could end up being one of the all-time greats there. Although that didn’t end up happening at Temple, he certainly can strive for that at West Virginia University. The 6’4 185 pound Brooklyn, NY native is extremely long and athletic, and despite only catching 12 passes last year as a Freshman, will look to make a huge impact next year. According to Ryan, he has put in his waiver and intends to play next year.